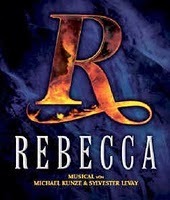 Musical Theatre News: Rebecca the Musical to Rise Again? Rebecca the Musical to Rise Again? Producers of the ill-fated musical Rebacca based on the classic novel by Daphne Du Maurier have officially extended its rights to December 31st with a planned Winter 2014 opening on Broadway. 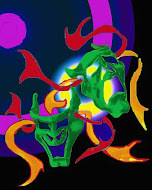 They are now joined by Co-Producers Steven Colson, Peter Bezemes and Barbara Sellinger, along with the previously announced co-producers. According to a release from the show's producers, "REBECCA's previous delay was initially the result of the fraud perpetrated by Mark Hotton (who is now serving time in jail) and then, more damagingly, the consequence of anonymous and malicious e-mails that were revealed to have been sent by the show's previous press agent Marc Thibodeau to a new investor who was replacing a major portion of Hotton's investors. Thibodeau's emails, which were sent as recently as three days before rehearsals were to begin, resulted in the new investor's abrupt withdrawal and the delay of the show in the Fall of 2012. A civil litigation against Thibodeau and unnamed others remains pending and is scheduled to be ready for trial in the middle of 2014. On January 17, 2014, Thibodeau withdrew his countersuit against the musical."